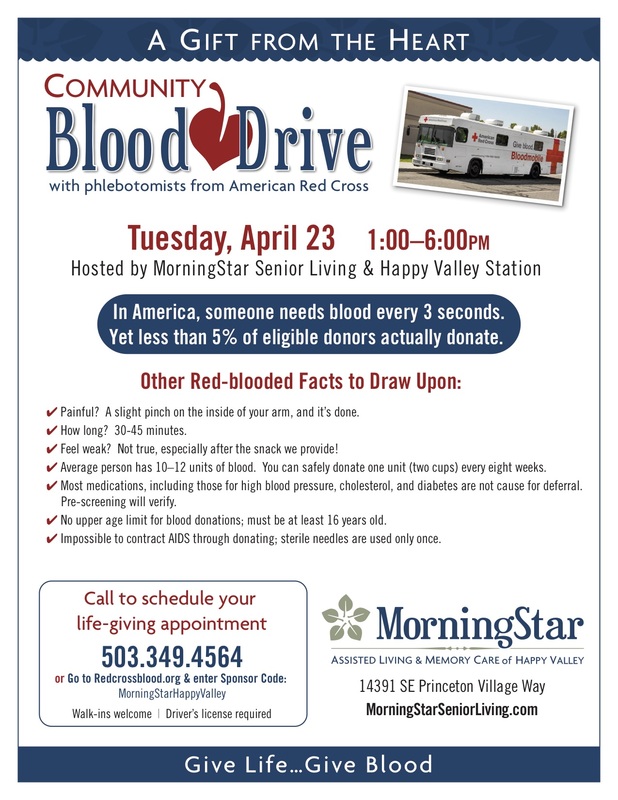 MorningStar of Happy Valley and Happy Valley Station (Food Carts) are hosting a blood drive in our Information Center (while our beautiful community is being built). This is a great opportunity to give back to the community, without having to dig into your wallet! We look forward to connecting with you at the Drive. Thank you in advance for your donation.